ATCHISON COUNTY — Two people were injured in an accident just after 7a.m. Friday in Atchison County. 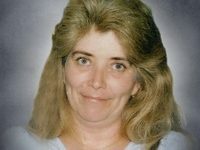 The Kansas Highway Patrol reported a 2005 Chevy Impala driven by Skylar D. Coady, 21, Atchison, was traveling on U.S.
Cindy Ann Donaldson 1959 – 2019 Cindy Ann Donaldson, 59, of Rushville, Missouri, passed away Saturday, February 16, 2019 at her home. She was born October 30, 1959 in St. Joseph, daughter of Florence and Fred McCrary.